As you may already know from a previous post, my friend Sara over at Saige Wisdom is all about the obsession lists, as am I, so I feel an intense urge to participate whenever she does these. I really, really like to window (read: internet) shop and make myself feel bad about everything that I want but feel guilty about spending money on. Here goes. I'm dubbing this the 'things I want in my house right now' edition. 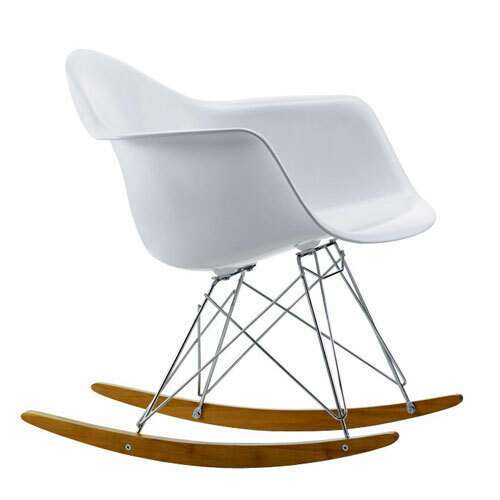 An Eames rocking chair. All the cool bloggers have one. Why can't I? Our basement couch is over a decade old, and it's basically Cohen's bed. I vacuum it every time I sit on it. And I'd kind of rather sit on the floor. 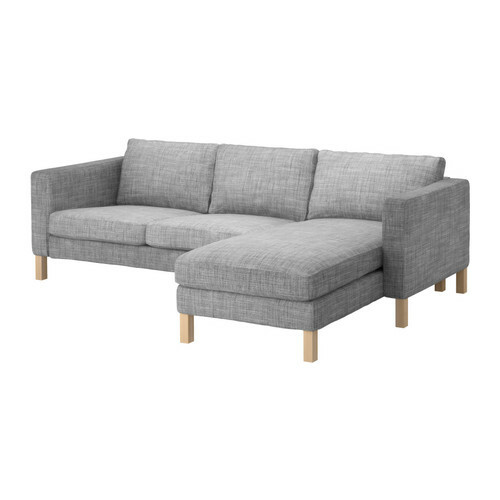 In my dream world, Cohen stops shedding and I buy this couch. 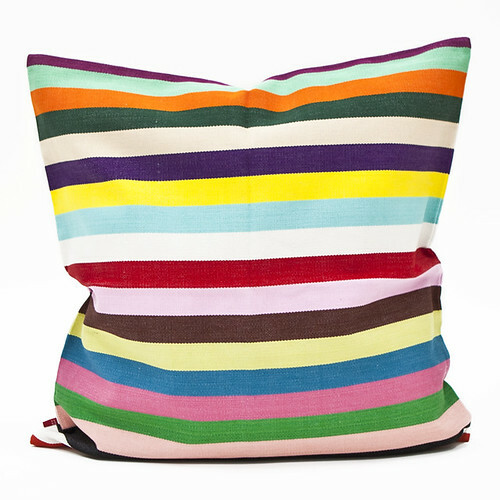 Also in my dream world with my dream basement couch is this dream pillow by Fine Little Day. Love. 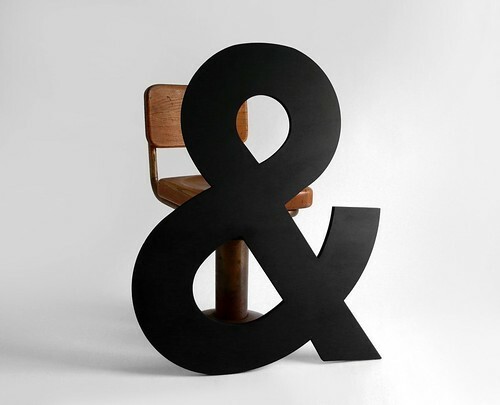 Yes, I know, everyone's sick to death of all the ampersand business, but I love this one, or any letter, by Hindsvik. So cool. 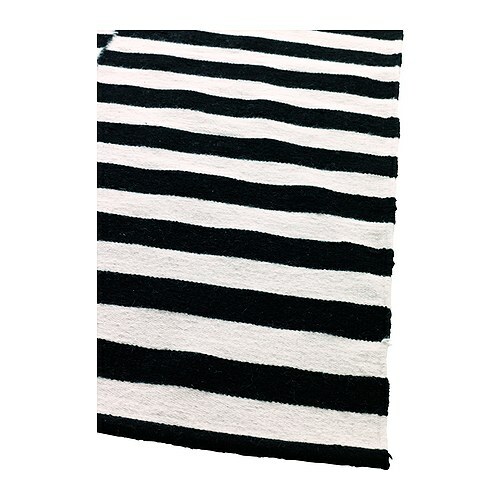 I have wanted the Ikea Stockholm rug for a longgg time. I NEED IT. I don't understand why rugs are as expensive as they are, but one day I will buy this. For real. 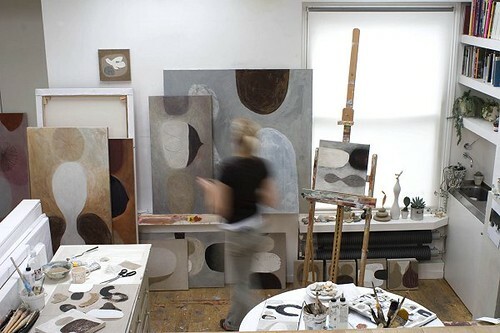 I wrap things up with not an item, but rather my dream art studio. I wish we lived in a mansion with all sorts of extra rooms that I could turn into things (studio, dressing room, room to throw toys in). Sigh. Stupid average size house. Ok, that's my current list of obsessions for our home. What are yours? Hahaha "all the cool bloggers have one" it's so true, isn't it? They are pretttty sweet though...but pricey, damn! That pillow looks like one Brian made on his blog a few weeks ago! Ugh, I know, I'll have to save for years for one, ha ha. Ha ha, you're so right about the pillow! Damn he has good taste.